A&D’s Carl Jones was in record-breaking form once again on Sunday. After breaking the club v40 half marathon record in April, Jones can now add the v40 10k title to his name. 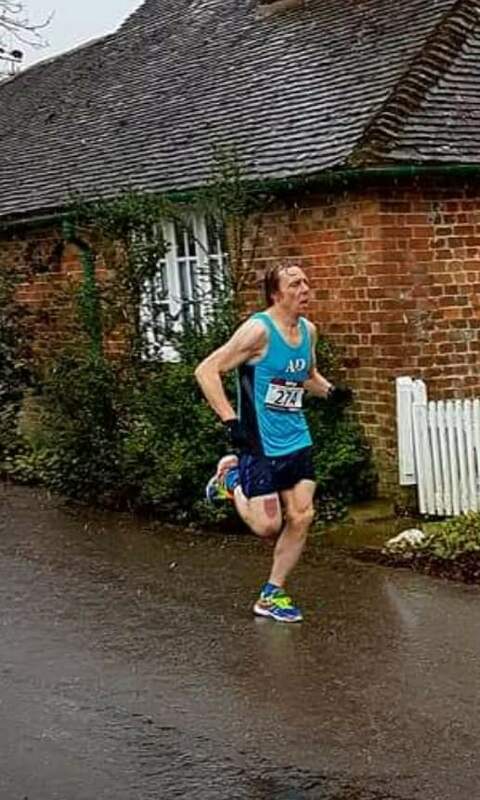 He crossed the line at the Staplehurst 10k in 34m:51s to take 3rd place overall, finishing a minute behind the winner. Dan Green was next up for the club finishing 12th in a time of 37m:27s with Andrew Noble in 38m:58s (19th). Keith Haynes made it into the top 50 with a time of 42m:14s with Adrian Moody just behind in 44m:48s (80th). Claire Green completed the line up with a time of 49m:19s (125th). Jon Pearce had to settle for 2nd place at the Tenterden 10k on Sunday after being pipped to the post by 3 seconds. Pearce crossed the line in 36m:21s on what was a tough, hilly course. Mark Boorer was next up in a time of 52m:37s (43rd), Keith Lynn in 55m:48s (66th) and Laura Segust was 1st female home for the club in a time of 55m:38s (68th). Shaun Snowwolf-Harris finished in 56m:28s (72nd) with Lisa Jones setting a personal best of 58m:39s (93rd). Rachel Kuske and Shelly Blake finished together in 1hr:18m:27s (148th) and 1hr:18m:28s (149th) respectively. 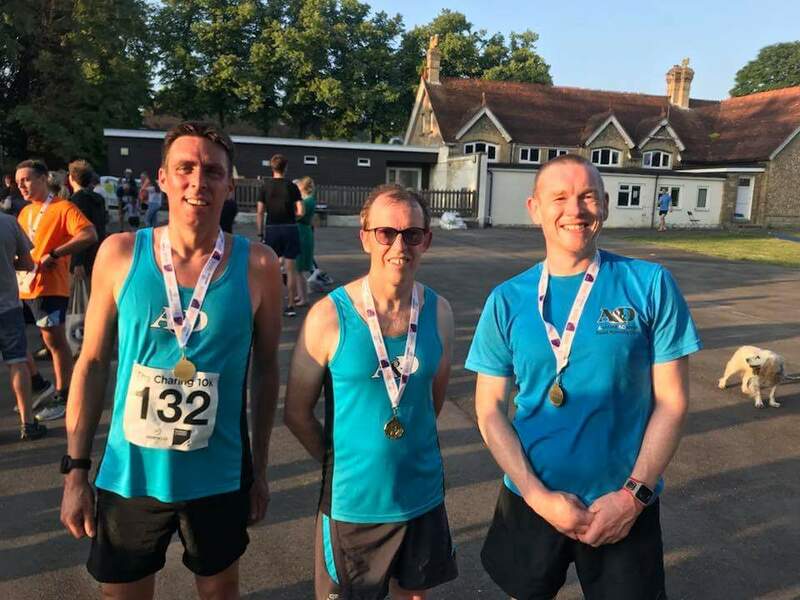 A&D scooped the mens team prize at the Charing 10k on Friday with some strong performances. Paul Moses lead the team home in 41m:44s (8th) followed by Rob Barton 41m:51s (9th) and Jonny Wells 42m:26s (10th). Lucy Johnstone was the 1st female to cross the line for the club in 59m:34s (83rd) and closely followed by Helen Weeden in 1hr:00m:46s (87th). Mark Attenborough was the star performer on Saturday at the towns parkrun as he set a new personal best of 19m:36s to take 5th spot overall. Trevor Kay continued his consistently good form with a 2nd place finish in 17m:36s whilst being chased down by Tomasz Latala in 17m:52s (3rd). Julius Samson was next up finishing in 20 minutes flat (8th) with Rob Barton in 20m:57s (15th). James Chapman and Don Dewar were up next in 23m:07s (47th) and 23m:16s (48th) respectively. Edward Rodger came home in 23m:47s (56th) with Sandi Mortimer finishing as 1st lady for the club in a new personal best of 24m:12s (62nd). Filiz Salih followed in 24m:18s (66th), Terry Sellen in 24m:20s (67th), Rob Carpenter 24m:25s (68th), and Andrew Noble in 24m:26s (69th). 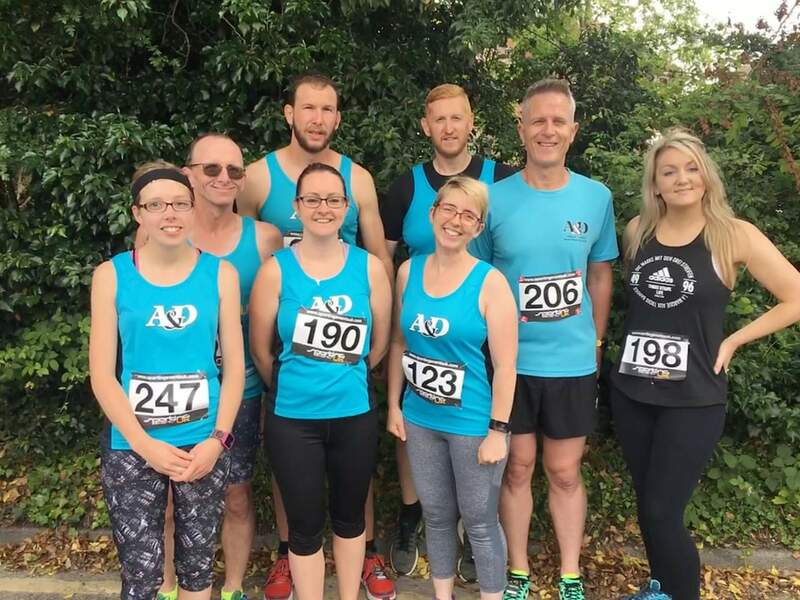 Other times were – Mark Boorer 24m:56s (76th), Simon Jackson 25m:11s (81st), Will Whittington 25m:31s (86th), Keith Lynn 25m:40s (88th), Jaclyn Kay 26m:00s (96th), Sophie Edmonds 26m:07s (99th), Mark Carlton 26m:11s (101st), Lisa Jones 27m:38s PB (128th), Lucy Johnstone 27m:48s (132nd), Becky Hodgson 31m:52s (189th), Lesley Moody 32m:07s (193rd), Emma Jenkins 33m:55s (225th) and Julie Foster 43m:27s (270th). Meanwhile around the country – Elodie Paviot completed the Kingston parkrun in 22m:25s (55th), Paul Moses and Becky Macey ran the Whitstable parkrun in 20m:10s (5th) and 21m:02s PB (12th) respectively, Gill O’Connor finished the Riddlesdown parkrun in 22m:13s (39th), Trevor Sparkes ran the Folkestone parkrun in 25m:02s (83rd) and finally Philip Bridges ran Brundall parkrun in 24m:16s (26th).